A well-structured estate plan facilitates the smooth and efficient transfer of assets to a decedent’s heirs without the long, grueling process known as probate, and ensures that loved ones are well provided for financially. 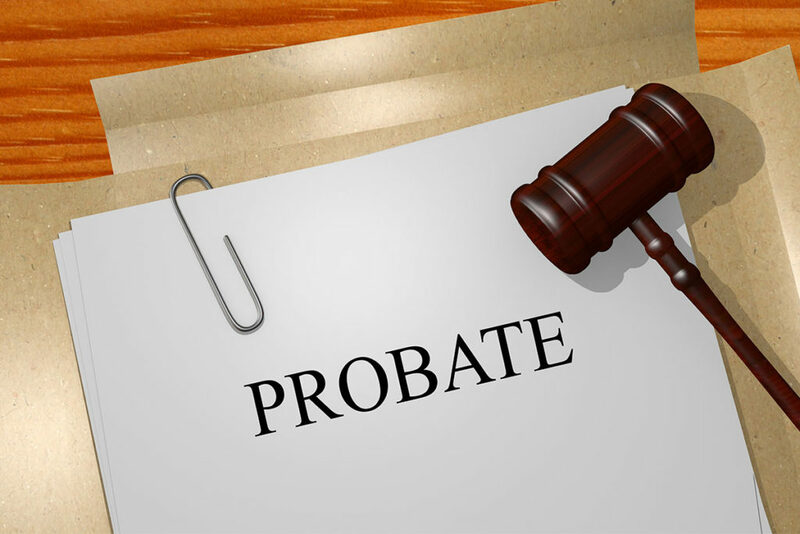 Derived from a Latin word meaning to prove, probate is the formal legal process through which the validity of a deceased person’s last will is verified. The purposes of probate are to confirm that the decedent’s intentions were grounded in thoughtful decisions made with a sound mind (as opposed to, for example, during a health crisis or a time of intense family conflict), and if so, to ensure that those intentions are carried out as faithfully as possible. In the absence of a will, the probate process is guided by state legal standards for the distribution of property after a person’s death. In the best of circumstances, probate is time consuming and expensive, usually taking six months or longer to complete. In the worst of circumstances, such as when family members choose to contest the will, probate is downright excruciating. Property cannot be transferred until probate has been completed. Since probate costs are paid out of the estate, the probate process reduces the amount of property heirs receive and increases the time they must wait to receive it. As in the game of Monopoly, probate is not jail, but avoiding probate is like drawing the bonus card allowing beneficiaries to immediately pass GO and collect $200. Owning property jointly with a spouse, partner, or any other person designated as a primary beneficiary is one of the most straightforward ways to avoid probate. When properly set up, a joint ownership arrangement ensures that all property jointly owned will pass into the hands of the surviving partner immediately upon the decedent’s death, even if there is no last will and testament. Be careful to establish the proper type of joint ownership to ensure seamless transfer of the property. Generally, the ownership structure should be Joint Tenancy With Rights of Survivorship or Tenancy by the Entirety. The shared ownership arrangement known as Tenancy in Common might not result in immediate transfer to the co-owner, but rather, a much more complicated transfer of the decedent’s ownership share to other heirs. Note that joint ownership and the resulting transfer of property can become very complex matters if a decedent has been married multiple times, especially if there are children by more than one marriage. Anyone who has a life insurance policy has named a beneficiary. Yet many people do not know that they can also name beneficiaries for their bank, investment, and retirement accounts. Often, doing so requires no more than filling out a simple form available at a bank or brokerage firm. As with joint ownership, naming a beneficiary for various accounts ensures immediate transfer upon the account holder’s death. One of the best ways to dodge the obstacles of probate is to create a living trust and transfer asset ownership into the trust. Completing the transfer will require filing all necessary paperwork and designating a successor trustee who will manage the distribution of trust funds upon death of the grantor. The process is neither instantaneous nor free. However, the time and costs associated with establishing a living trust are dwarfed by those associated with probate. In fact, the advantages of a living trust go far beyond merely avoiding probate. For example, as I explained in my article on Pet Trusts, a living trust takes effect upon the grantor’s mental or physical incapacitation as well as upon his or her death, and allows for a more detailed expression of the grantor’s wishes than is usually possible in a will. If an estate includes significant property that is essentially just sitting around waiting for its owner to pass on, it may be wise to consider transferring this property to loved ones or a favorite charity now. Such transfers often must be reported on an IRS Form 709, United States Gift (and Generation-Skipping Transfer) Tax Return, although they do not become taxable until the lifetime limit (recently increased under 2017 federal tax reform legislation) is reached. For property that one still needs, such as a home, consider creating a Life Estate. A life estate deed gives the owner of a life estate (the life tenant) the exclusive right to occupy and use the property during his or her lifetime. In other words, no one can kick the life tenant out of the home. In the deed, the life tenant assigns a “remainder interest” to one or more individuals. Full ownership of the property will pass immediately to those individuals upon the life tenant’s death. When considering estate planning options to avoid probate, bear in mind that there is a potential conflict of interest for lawyers: the long process of probate offers far more billable hours than setting up a trust or naming account beneficiaries. Seek legal guidance only from an experienced, trustworthy expert.